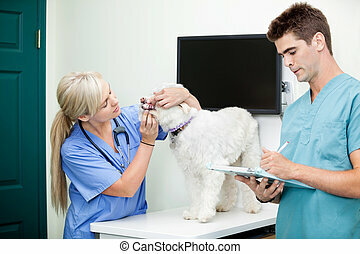 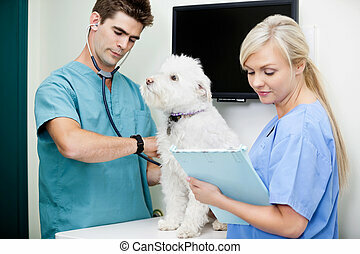 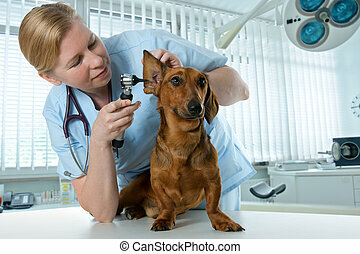 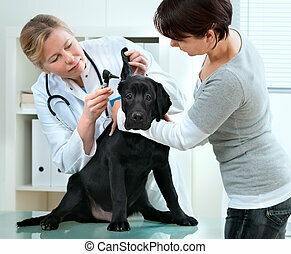 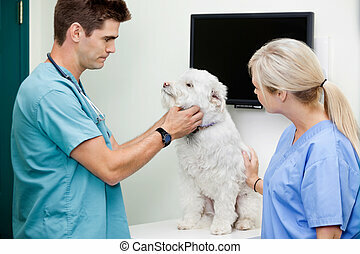 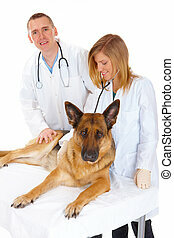 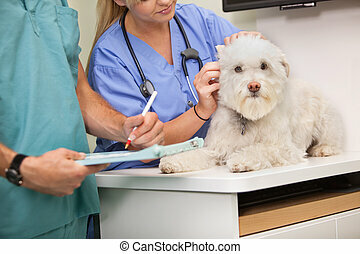 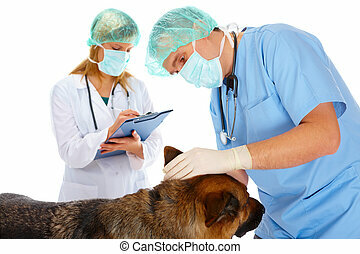 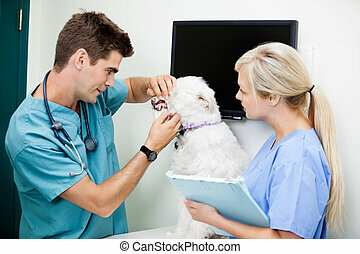 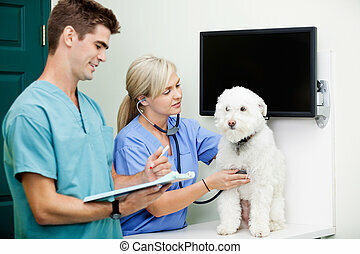 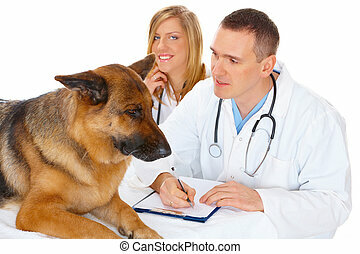 Two vets examining dog. 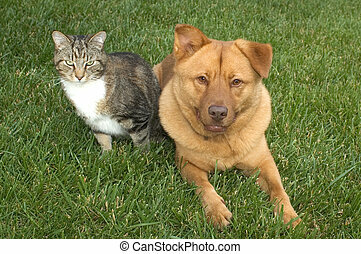 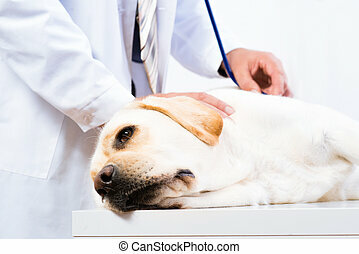 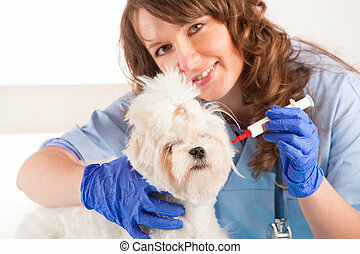 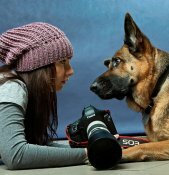 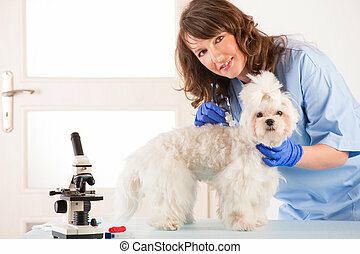 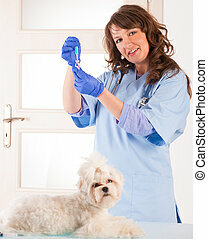 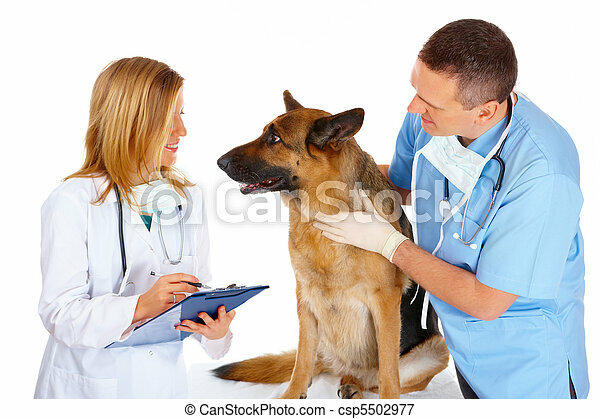 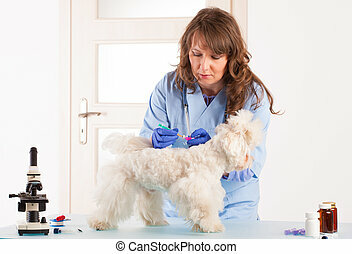 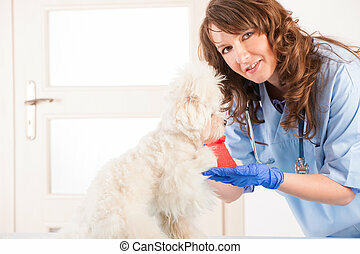 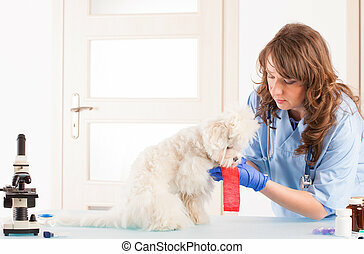 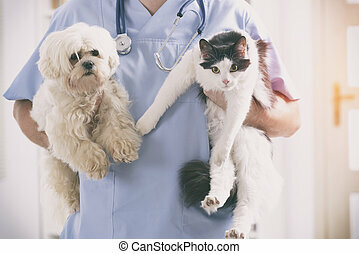 Vet and assistant examining dog, isolated on white. 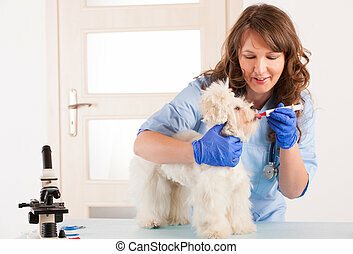 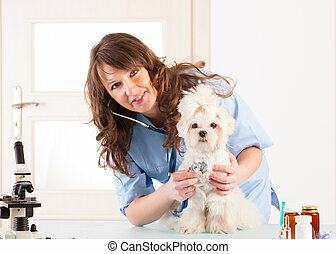 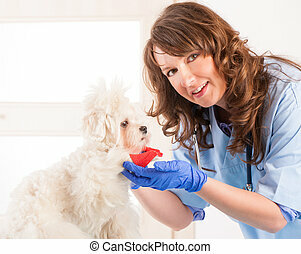 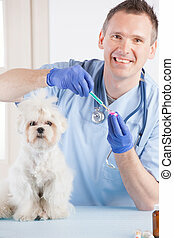 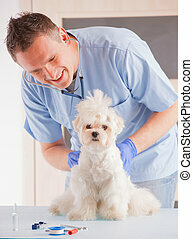 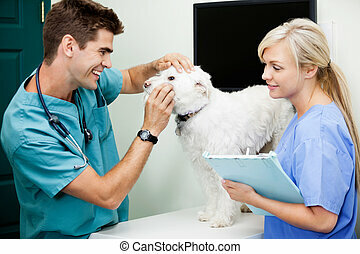 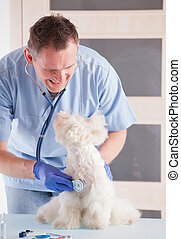 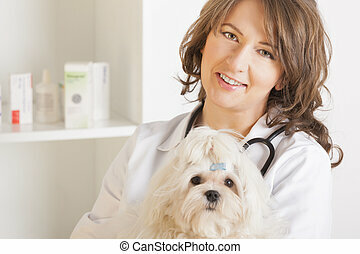 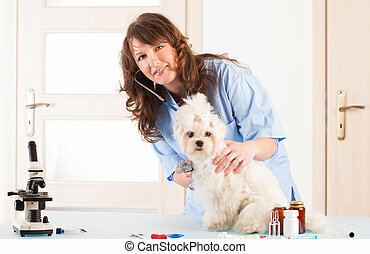 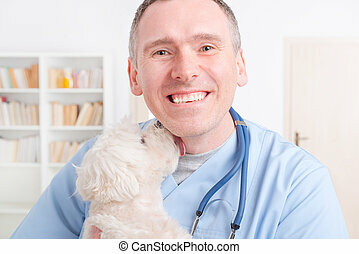 Smiling veterinarian making a checkup of a dog maltese. 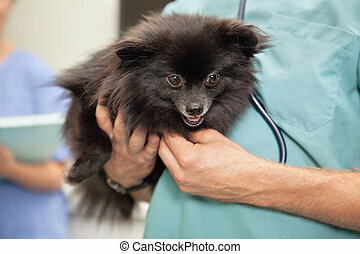 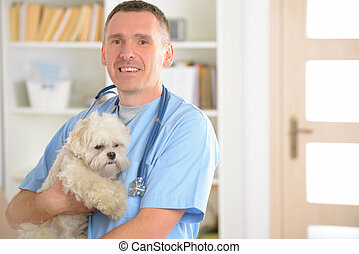 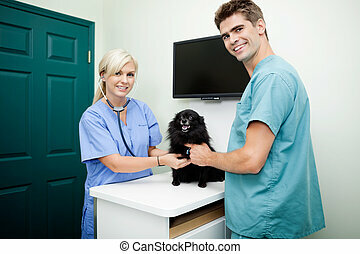 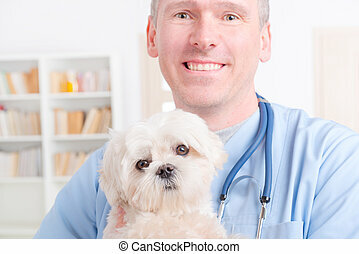 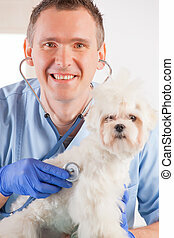 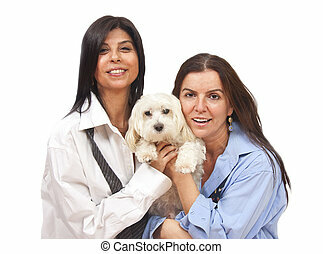 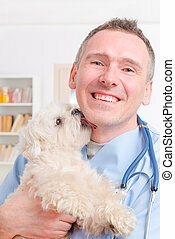 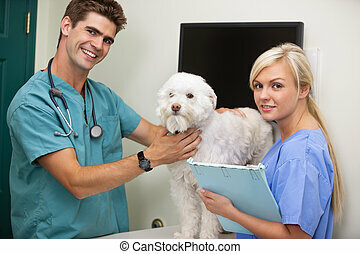 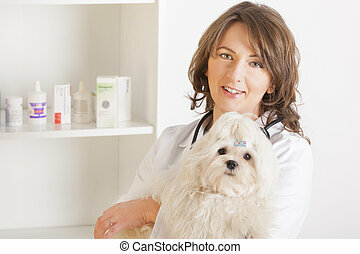 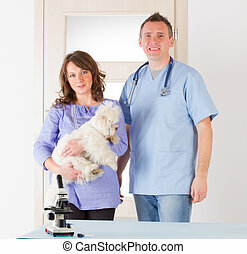 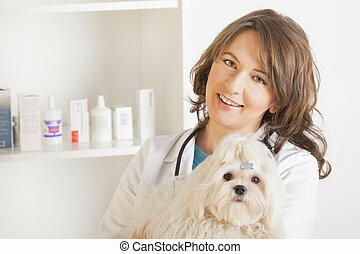 Smiling veterinarian with his client carrying her dog maltese. 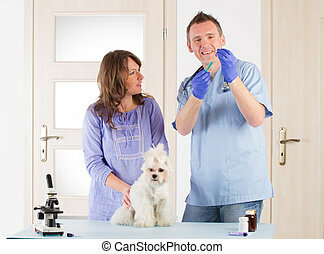 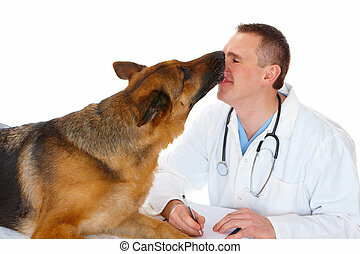 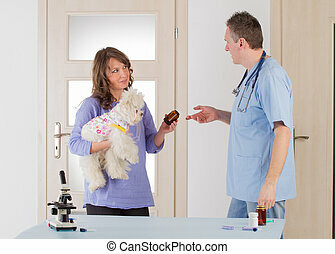 Veterinarian giving his client a medicine for her dog.